ERP for manufacturing, such as Sage EM (formerly known as Sage X3), yields many benefits for the manufacturing industry. Some of these benefits are obvious, such as the availability of data, the ease with which you can run reports, and other time-saving benefits. What might not be as readily apparent is the cost-savings that manufacturers can achieve with ERP for manufacturing and distribution. Sage contracted with the esteemed Forrester Research Group to analyze such savings. Although Forrester did not focus entirely on the manufacturing sector, they did discover among their many interviews with companies using Sage EM (formerly known as Sage X3) that manufacturers derived significant benefits. Here are just a few. ERP for manufacturing enables you to add many modules specifically tailored to your industry. One such module from Sage EM (formerly known as Sage X3) helps you standardize purchasing protocols and processes to achieve the best discounts on goods and supplies. The entire purchasing process saw a reduction in the cost of labor, according to the Forrester research. Because Sage EM (formerly known as Sage X3) saved considerable time and effort, it reduced the cost of labor by approximately 4% annually. Less time was spent on tasks since many were automated. While it is likely that your purchasing managers seek to obtain the best discounts possible on goods and supplies, without the best planning data, they may not be aware of changes in demand. Inventory management software such as Sage EM (formerly known as Sage X3) allows you to review past inventory history to predict future trends. You can also see sales figures at a glance so that you can adjust manufacturing needs to accommodate large orders. Using Sage EM (formerly known as Sage X3) and its inventory module, you have visibility into your entire inventory no matter where it is located. 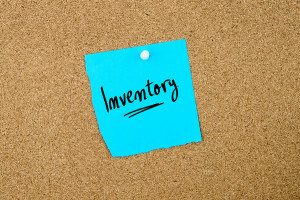 You are able to move inventory to the sites you need it or request shipments from alternate locations. Using this visibility, an average organization experiences a 10% reduction in inventory levels and increased inventory turns. In addition, automated inventory management allowed reduced headcount of one FTE over three years. Planning is everything in the manufacturing industry. Adequate planning can make a big difference in the profitability in your business, and such planning is facilitated through ERP for manufacturing. Investing in Sage EM (formerly known as Sage X3) allows you to automated processes such as recording production transactions and physical inventory. With real-time data, inventory levels and production schedules were more accurate and on-time. With immediate access to inventory scrap rates and the ability to fix resulting manufacturing problems, the average organization can reduce the cost of goods by ½ of 1%. Sage EM (formerly known as Sage X3) provides numerous benefits throughout your organization. With enterprise software in place, you can get the big picture of all of your business activities from one convenient dashboard. You don’t have to access the dashboard from your office, either. You can access it where you want to, when you want to, thanks to simple, easy cloud computing that provides access to your data through a web-based interface. ERP for manufacturing benefits your sales department, marketing, operations, finance, and warehouse administration. Because data is kept in one system, it helps to improve communications and breaks down silos. With better data, you can run a better business. ERP consulting from IWI Consulting can help you choose a system and add modules tailored to your needs. We have helped many Toronto-based businesses choose the best ERP for manufacturing software and implement it throughout the organization for enhanced productivity and profits. Learn more about the exceptional discounts found after ERP implementation. With Sage EM (formerly known as Sage X3), you can achieve cost savings and other key benefits. IWI Consulting provides Sage EM (formerly known as Sage X3) and Sage 300cloud (formerly known as Sage 300) software, along with other tools for business insights, management and data. Get more information on our website or download the whitepaper The Total Economic Impact of Sage EM (formerly known as Sage X3) today. Call IWI Consulting at 1-866-916-3851 today.